Sometimes I can get into a song rut and can’t seem to find a good Zumba® song that I really like. When this happens, I have a few ways of finding new songs to incorporate into my playlist. Pandora is one method I use to discover new music. Pandora is free, personalized radio that plays music you’ll love. Pandora is accessible through either your laptop or their app. You first need to create an account. Its free and it will allow you to save your personalized station. Next you create a station. 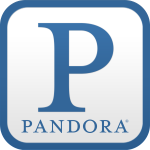 Start with your favorite artist, song or composer and Pandora will create a custom station that plays similar tracks. As you listen, you can rate songs as either a thumbs up or thumbs down. Then Pandora will play similar artists as the ones you rated favorably. As you listen, make note or write down the songs you like to download and create your new routine. I started my Pandora station with Don Omar and added Pitbull, Juan Magan, and some others. Now I have a nice mix to choose from. Next time you are in a Zumba® song rut, try Pandora. See what new songs you can uncover.